When someone tells me I could increase my hair length by up to six inches, it doesn't take much to get my attention. No extensions, no supplements, just some amazing products by Redken, and what's even better is you can pick them up online from RUSH with free delivery. Love it when haircare is delivered to your door, so simple! RUSH Shop, is part of the RUSH Hair & Beauty salons, and is a great site to pick up salon exclusive products and the latest products from a whole host of well known brands including Aveda, Kerastase and ghd. Anyway, back to Redken, the Extreme Length range is formulated with Biotin enzyme that helps repair and restore the protein chain. My hair tends to break at the ends so it never gets past a certain length, whilst I know my hair is growing, it's in vain as the ends continue to snap. Using the Extreme Length Primer* whilst showering is simple, you just work through your hair and leave for 2-5 minutes, then rinse. After combing through, I brush the Extreme Length Sealer* onto the ends of my hair (it's got a paintbrush applicator which makes it super easy to use) and then dry. I'll report back on how I'm getting on with the Sealer and Primer, but so far so good. I'm so impressed with how they've left my hair feeling, even after a few uses. They smell so good! There's that 'salon feel' to the products which makes you feel that little bit more pampered. Fingers crossed for that long hair I've been after for years. Luckily, RUSH Shop has offered an exclusive discount to my readers! If you spend £30, and enter KELLYSMUSTHAVES at the checkout you'll save 20%. Pick up the entire range and use KELLYMUSTHAVES25 and you'll get 25% off! And free delivery. 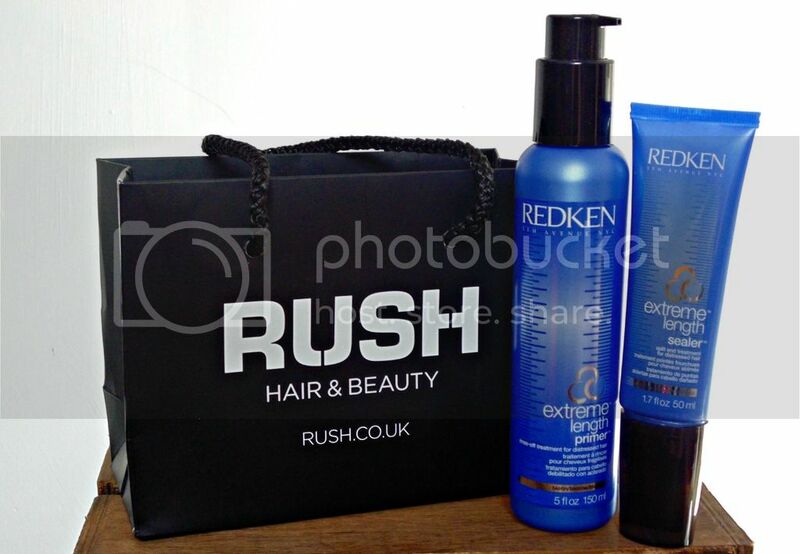 T&Cs apply: offer ends midnight 31st August and is only valid when fans spend £30 on Redken at shoprush.com. Your voucher code is valid for 3 uses per person and must add code:KELLYSMUSTHAVES at basket before checkout. Promotional prices are based on original RRPs. To save 25% on the Redken, fans must add all six items from the Redken Extreme range at basket and add code: KELLYSMUSTHAVES25 instead. Free next day delivery orders must be placed before 3pm and will be delivered the next working day, this offer applies to orders of £60 or more. Read our Delivery Policy and Terms & Conditions before completing checkout.